Here is a description of what really happens, what to expect and most importantly what will be expected of you at each stage of the mortgage process from initiation to closing. When you know what is on the way (or what is supposed to happen!) this will help you have a stress-free mortgage experience. Get all your documents ready beforehand. 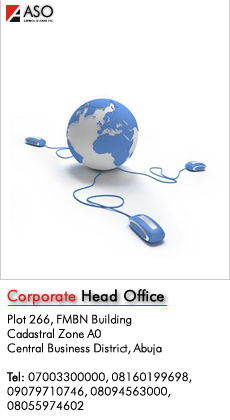 Gather all relevant documents which you may need to access the facility. At this stage it is important for you to have met your loan officer to guide you on the prerequisite documents you will need to get started. It is much better to prepare before you apply because when your loan officer comes back to you for these items, this can add days to the mortgage process. Why not take an hour now to save a week! N.B: It’s important to state that the dynamics for each mortgage process may differ thus it is necessary to consult with your loan officer on what documentations you require to obtain the necessary approval. Credit will be reviewed. The loan data will be put through underwriting and a pre-approval will be issued. Without the above documents being in place prior to application, it can take weeks or even months from the time the borrower is pre-approved to the time there is an approval. Therefore the loan officer should address anything that comes up on the credit or in other documentation and educate as to what will be further required. Any other risks that may be involved. If the Processor sees something that the Loan Officer missed they will request this documentation to be provided immediately. Because of the complexities of the mortgage process, a second set of eyes is very important to ensure that no documentation is missing and that all necessary information is obtained. At this time any one of those reports may spur a request for additional documentation from the borrower. If there are no issues, your mortgage file will now be forwarded for full approval. The underwriter is responsible for reviewing the entire loan package and issuing a final approval. Usually this approval will be given subject to your meeting all conditions necessary for your mortgage to be disbursed. Disbursement conditions are usually a set of loan guidelines which the bank has put together as terms guiding the loan. These conditions will be found in your mortgage approval offer. At this time it’s important to sit with your loan officer to guide you through these terms and conditions carefully, as certain acts can lead to breach of terms and condition and termination of the contract. You made it! This is the time that you actually sign those papers committing yourself till the loan is fully liquidated. If all the steps above have been followed, the funds will be disbursed and you now own your own home. This is the most critical part of the whole process. It entails making sure your mortgage repayment is paid as at when due. With ASO you get a text messages reminding you of your mortgage payments and when it’s due. It’s important to constantly keep in touch with your loan officer should the payment terms become unfavorable. They will advise you on the best payment terms in which you can restructure your mortgage. The mortgage process can be complicated and intrusive and there are many times during the process when a borrower can be asked to produce more information. This can be frustrating at times and make the borrower feel like the lender is at fault. However, by taking the above steps the process can be made simple and easy.